At this week’s Asia Pacific Economic Cooperation (APEC) summit, world leaders gathered for formal and informal talks. Much has been written about US President Obama’s decision to focus on private talks versus public engagements. This is his chance to warm relations with China’s leaders. But in international media today, the story is being told in photos. 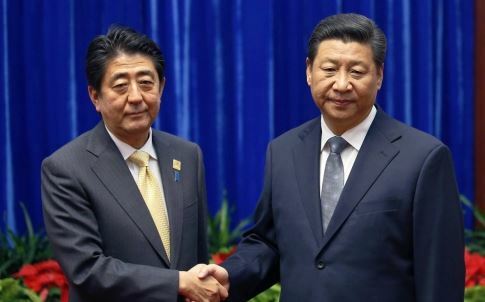 President Xi Jinping of China and Prime Minister Shinzo Abe of Japan met for the first time in two years yesterday in Beijing. The territorial dispute over outlying islands in the South China Sea led to a political stalemate between the world’s second (China) and third (Japan) largest economies. It’s also degenerated into calls for trade barriers. In 2012 crowds in Chinese cities rioted and torched Japanese cars and businesses. So when the two leaders met yesterday in Beijing, much was made of their contact. Before coming to the stage for a group leader photo, the two conversed for a few minutes. Photographers captured the exchange and asked them to pose for photographs. In China the sad photograph of each leader looking to the floor was published (above). In Japan, a happier photograph received front page coverage (below). If a picture tells a thousand words, what stories do these two photographs tell? 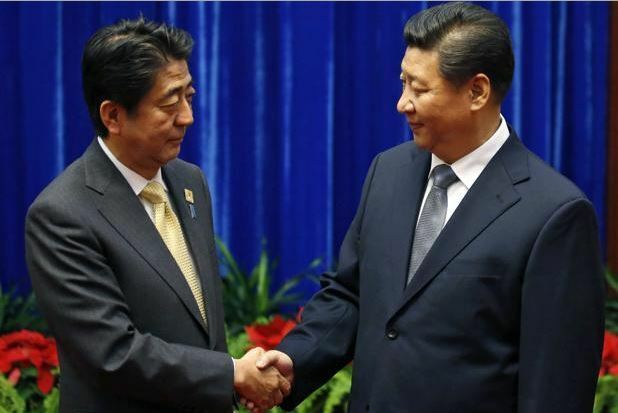 For those in China, their President isn’t taking this lightly and Japan will be held accountable. For those in Japan, their Prime Minister is trying. Perhaps both stories are true? Both photos certainly are, but their selective disclosure is the most telling story of all.